Tough times in the Lauer household these days. 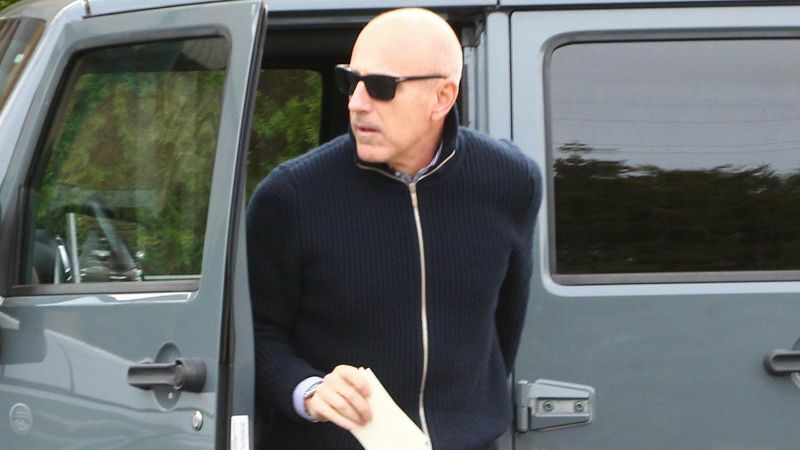 Matt Lauer, 59, however has now been spotted out and about in the Hamptons. What’s more, he’s still wearing his wedding ring. I’m confused. I read that his Dutch wife took the kids and went home abroad to her parents. I also read they had been estranged for a long time because of Matt’s skirt chasing ways. That’s only partially correct. He was seen taking his son to school and picking up a friend of his son’s. 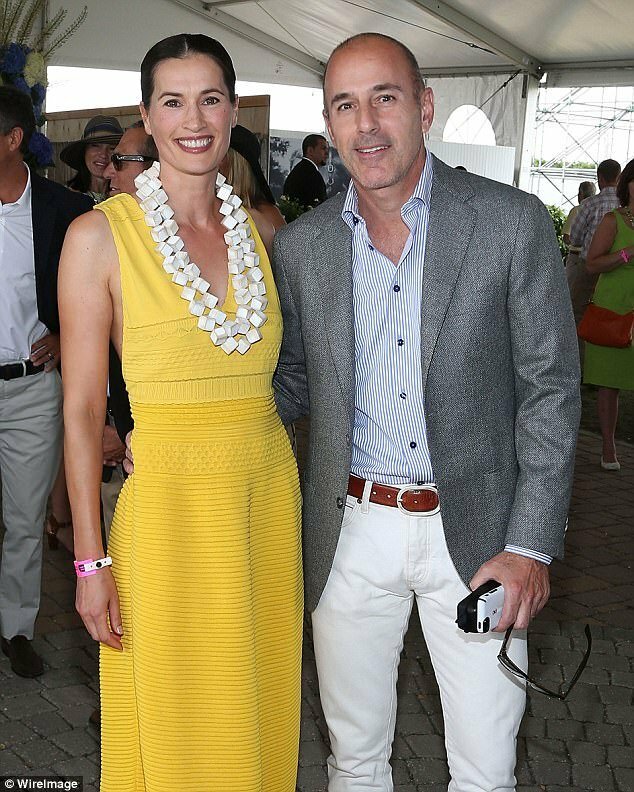 Lauer has been holed up at his private Sag Harbor home in Long Island ever since the you-know-what hit the fan at NBC over his sexual misconduct. 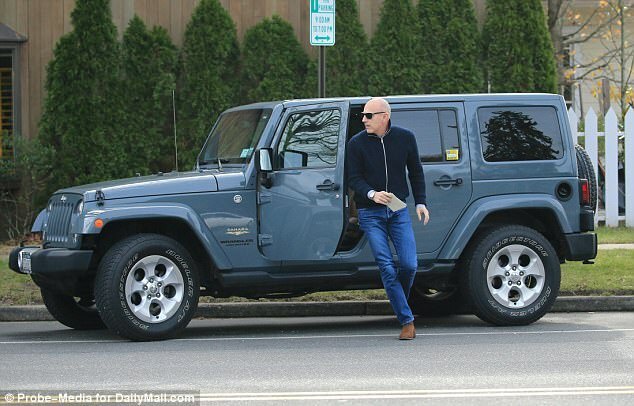 It was a normal day for Lauer as he took his Jeep Wrangler and his 11 year-old son, Thijs, to school. He had a cellphone glued to his ear during the trek. He may still be wearing his wedding ring, but you have to wonder if a divorce is not pending. 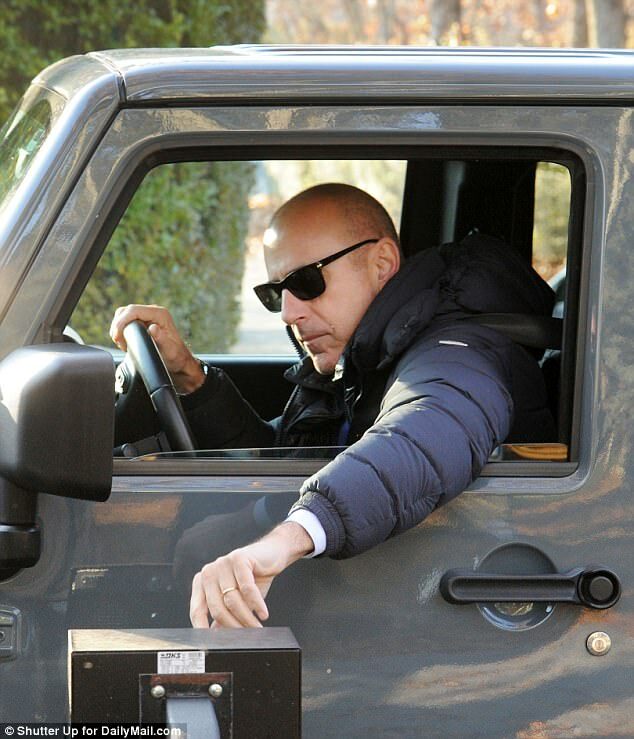 He is married to former Dutch model Annette Roque and rumor has it that their marriage has been on the rocks for years and that they are living separately. As I understand it, she went back to Amsterdam by herself last week after Lauer fell from grace… hard. Lauer was a co-anchor on the Today show at NBC for 20 years. An NBC staffer filed a complaint last weekend that he had sexually harassed her at the Rio Olympics and within 48 hours, Lauer was out on his rear at NBC. Then other allegations started surfacing along with texts, video and wild stories of his misconduct. At least seven women have come forward so far. They say that NBC is erasing him as if he was never there. They are demolishing his office even. Harsh, but maybe deservedly so. This morning, the Today show proceeded as if nothing had happened and as if Lauer had never even existed. It’s coming out now that Lauer’s squeaky clean image was fabricated. He was evidently a bad husband. He doesn’t seem to be able to be faithful and his wife doesn’t trust him. With good reason it would seem. When Roque sought to divorce Lauer years ago, Lauer reportedly offered her $5 million in cash to remain in the marriage. Looks like she took it and he kept his trophy wife intact. Lauer felt a divorce would make him look bad. Lauer and Roque met on a blind date in 1997, the same year he took over as co-anchor of Today in place of the departing Bryant Gumbel. As Lauer rose to fame at NBC, Roque was featured in Victoria’s Secret catalogs and ads for J. Crew. It’s now being reported that Lauer has always been a philanderer and that NBC wanted him to settle down for image purposes. Three years after the birth of their first child, Jack, in 2003, Lauer and Roque separated after the newsman returned from covering the Winter Olympics in Turin, Italy. There have been rumors of affairs and other encounters for years. Roque filed for divorce from Lauer when she was seven months pregnant with their second child. She accused him of ‘cruel and inhumane’ treatment and ‘extremely controlling’ behavior. I guess that was when he paid her off. “Matt needed to stay in the marriage to keep his reputation as America’s nicest dad,” according to a source quoted by Page Six. Evidently, he does love his children a great deal, it’s just marriage in general he has a challenge with. The couple separated in 2010 after Lauer came back from the Olympics in Vancouver. This guy really has a thing for women at the Olympics. 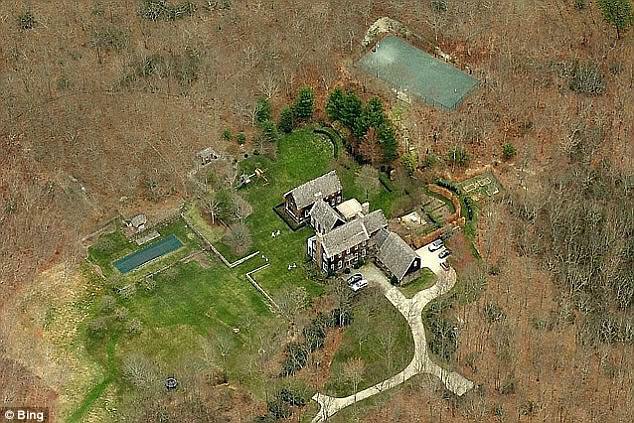 Since 2011, Roque and her three children were reportedly living in their home in Sag Harbor, while Lauer stayed in Manhattan during the week. 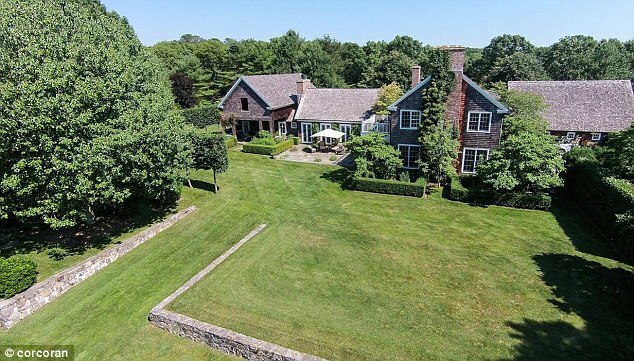 Lauer would spend the weekends in Sag Harbor. Roque is rarely seen in public. I can understand that. Lauer spends most of his time alone and it looks like that is going to be his condition for some time after all this.